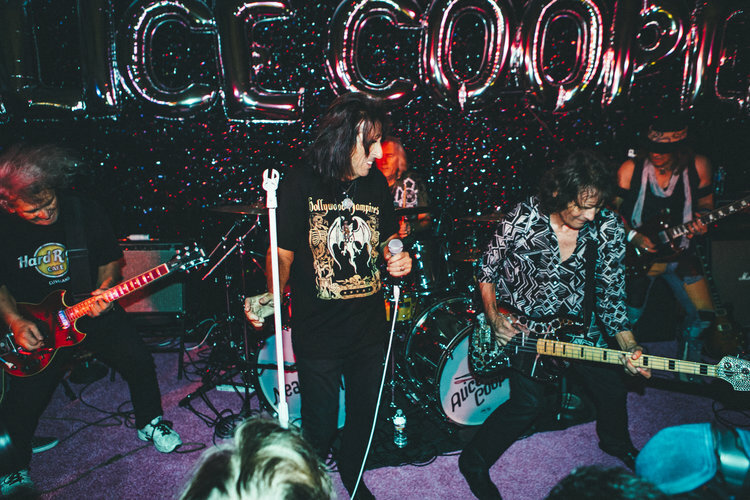 A documentary capturing the 2015 reunion of the original Alice Cooper Band is coming to the big screen this April. 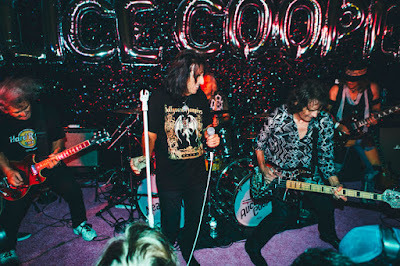 Rolling Stone reports “Alice Cooper: Live From The Astroturf” captures Cooper and his former bandmates – Michael Bruce, Dennis Dunaway and Neal Smith alongside new guitarist Ryan Roxie (in the late Glen Buxton’s place) – as they stage a non-Rock And Roll Hall Of Fame induction reunion show together for the first time since 1974. The October 2015 event in Dallas, TX was orchestrated by Cooper superfan and Good Records owner Chris Penn after he secured a book signing event by Dunaway. “We never knew if Alice Cooper was gonna come,” says Penn in the first video trailer for the film. After audio from the show – mixed by longtime Cooper associate and producer Bob Ezrin – was issued as a Record Store Day exclusive in 2018, Penn and director Steven Gaddis teamed up to organize the documentary, which presents the live performance alongside interviews with band members. The Alice Cooper Band were active from 1964 to 1974, after which the singer launched a solo career with “Welcome To My Nightmare”; the group were inducted into the Rock And Roll Hall Of Fame in 2011. “Alice Cooper: Live From The Astroturf” will debut at the Phoenix Film Festival – the same city where Cooper formed the band – during its April 4–14 event; special guests are confirmed to be in attendance for the premiere screening. For more details, visit livefromtheastroturf.com and the phoenixfilmfestival.com. Currently off the road, Cooper will return to action with a pair of live dates in Mexico City in May.